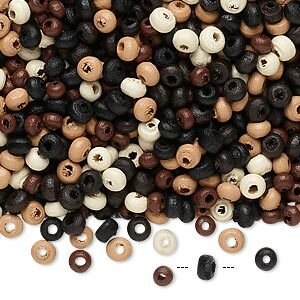 Bead mix, wood, mixed colors, 11x3mm rondelle. 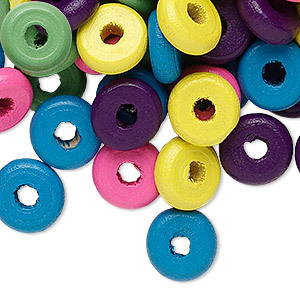 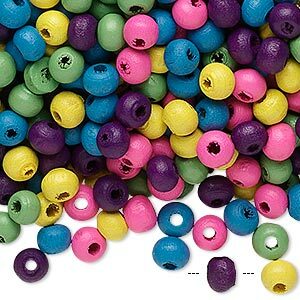 Sold per 90-gram pkg, approximately 560 beads. 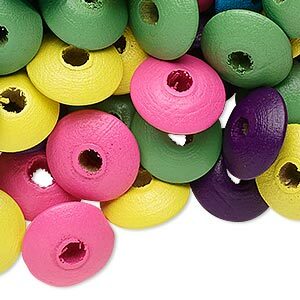 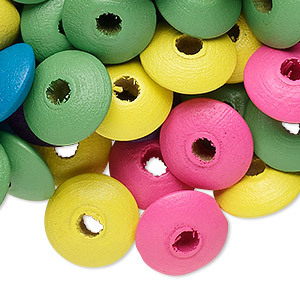 Fast-growing Korean boxwood, a cultivated wood, was used to make this collection of lightweight, non-toxic, natural-color painted beads. 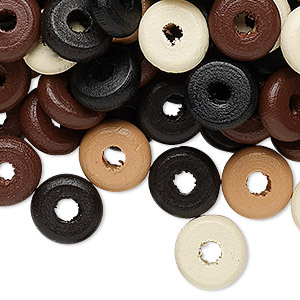 An eco-friendly choice for jewelry designers. 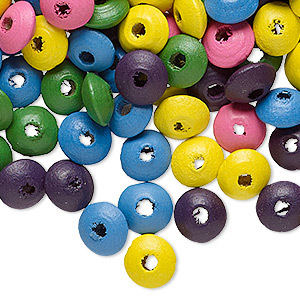 Bead mix, wood, mixed colors, 11x3mm rondelle. 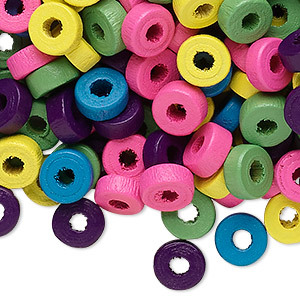 Sold per 400-gram pkg, approximately 2,800 beads.